Perhaps the most eagerly anticipated new project to be launched in Pattaya during the course of 2012 was Southpoint. This is the first project from Nigel Cornick, who was the CEO of major Thai developer, Raimon Land, for well over a decade. Raimon Land were the developers of some of Pattaya’s most successful and expensive projects such as Northpoint and Northshore in Wongamat. As is probably apparent from the project’s name, Nigel is looking to replicate the success of Northpoint by offering a development which is built to a similarly high standard. In order to achieve this lofty goal, he has appointed the same construction company that built Northpoint, French construction giant, Bouygues. This should give potential buyers confidence that Southpoint is going to be constructed to the highest standards. Southpoint consists of not one, but two, separate towers of 30 and 28 floors respectively, containing a total of 650 units between them. In terms of the location, Southpoint is situated on Kasetsin 7, which puts it slap bang in the centre of the northern, Cosy Beach, side of Pratumnak. This location puts it one street behind Cosy Beach View on Kasetsin 6, very close to the busiest street in Pratumnak, which is Rajchawaroon. This makes it an ideal location for those who are looking for a wide assortment of shops and restaurants virtually on their doorsteps. Southpoint is the most recent of the towers featured in this book to go on sale, having been launched only in November 2012. Unlike most off-plan developments going on sale in Pattaya these days, Southpoint was only launched after it had received its E.I.A. approval in order to give buyers 100% confidence that the project was definitely going ahead and as per the original design. It also means that the first buyers only had a short wait until the project begins construction, as this is began less than two months after Southpoint went on sale, in January 2013. Although sales at Southpoint upon its launch were very rapid, exceeding the developer’s initial expectations by a wide margin, the fact that it has been on sale for a lot less time than all of the other tower developments featured here means that there is still a wide choice of units still available for purchase. This includes many studios and one-bedroom apartments which have now sold out at the other towers. 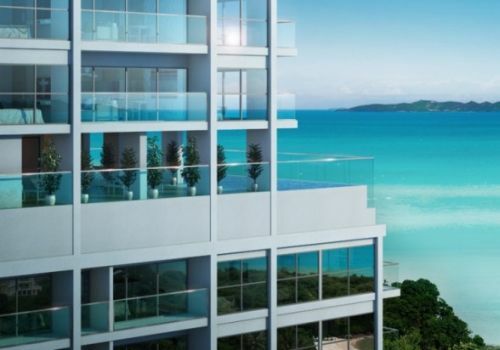 Due to the design of Southpoint, buyers on the project get a choice of views – either north towards Central Pattaya or south over Jomtien. 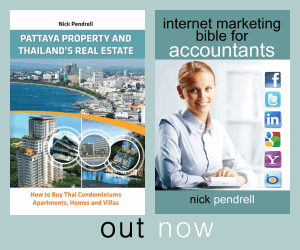 Despite higher prices for those units with views over Central Pattaya, this has proven to be by far the most popular side which has seen the majority of sales to date. So if this is the view you prefer, you will need to act quickly, particularly if you want an apartment on one of the higher floors. While the views from some of the units on the lower floors at Southpoint might not be as good as some of the competing tower developments due to the fact that it a way back up the hill with several other developments between here and the sea (although there are no rival towers directly in front of Southpoint), I very much doubt that any of the other Pratumnak towers are going to be able to beat Southpoint on the quality of its finishing. And, with a much wider choice of units still available, Southpoint should definitely be one of the main choices for anyone looking at buying into a tower development on Pratumnak.